This is a question which perplexes many people. 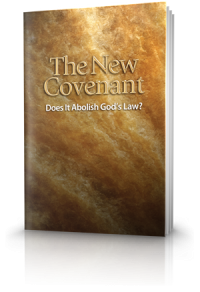 Does God command one thing but allow sin through polygamy? Is God a God of double standards? Of course not! "Jesus Christ is the same yesterday, today and forever" (Hebrews 13:8). It is true that the culture of much of the ancient world permitted a man to have more than one wife and/or concubine. This culture was not the culture of God, but was the human culture of its time, sometimes reinforced by the civil laws of man which were not laws or customs of God. Even polygamous marriages are recognized civilly in many countries today. But, as clearly shown by biblical examples, polygamy often encourages rivalry, quarrelling and emotional misery. It is not condoned by God and He never originally intended for marriage to permit multiple partners. Originally God intended the best, happiest, most loving marriage to be between a man and woman for their natural lifetimes, until death do part. "Although marriage was allowed with more than one woman simultaneously, as when Jacob married Leah and Rachel, and had sexual relationships with their servants, polygamy was not common in Israel in biblical times. One reason was that a husband had to be quite wealthy to be able to afford more than one wife. Therefore it tended to be royalty who had many wives. David had many, including Michal, Abigail, and Bathsheba, and Solomon had still more during the wealthiest part of his kingship." This did not make polygamy right in God's eyes. The Bible simply records that these men chose for themselves wives and concubines. They were not doing what was acceptable to God. They sinned and, even though they repented of their sins, they still had to bear the consequences of their actions, with much heartache, trouble and frustrations. God forbade polygamy for the kings of Israel, even though it was a common custom of the day in other nations. Here is God's law in regard to what Israelite kings should do: "When you are come unto the land which the LORD your God gives you, and shall possess it, and shall dwell therein, and shall say, I will set a king over me, like as all the nations that are about me; ... Neither shall he multiply wives to himself, that his heart turn not away" (Deuteronomy 17:14, 17). It is spoken of as "this law" in the very next verses 18 and 19. When Saul, David, Solomon and other kings of Israel and Judah took to themselves other wives, they disobeyed God and followed the customs of the kings of the worldly nations around Israel. It was a sin. It was not approved by God and, because of their own wrong decisions regarding polygamy, they reaped the whirlwinds of troubles and curses to themselves. The high priest also could have only one wife (Leviticus 21:13-14), and other leading figures of the Old Testament were monogamous, such as Noah, Isaac, and Joseph. It was pointed out by the rabbis that more than one wife led to problems. For example Leah and Rachel (Genesis 30) and Hannah and Peninnah (1 Samuel 1). "It is significant that the common Semitic name for "second wife" is tsarah (number 6869 in Strong's Concordance), the root meaning of which is "show hostility toward, or vex, or tightness or female rival". These words certainly describe the relationship between Sarah and Hagar and between Hannah and Peninnah. It is written in 1 Samuel 1:6, "And her rival also provoked her severely, to make her miserable, because the Lord had closed her womb." 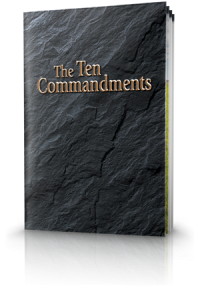 God speaks and commands clearly against fornication and adultery in the 7th Commandment. Jesus, in responding to questions about divorce (another practice tolerated because of the hardness of human hearts), cited the original marriage to reveal God's will. God made one wife for Adam, and God told Adam that a man should leave his father and mother and cleave to his wife (not many wives), and the two of them should become one flesh (Genesis 2:24; Matthew 19:5-6). The New Testament makes it clear that each husband should have his own wife and each wife her own husband (not multiple partners – 1 Corinthians 7:2). 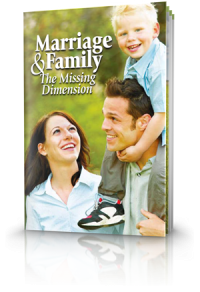 Paul, mindful of God's instruction that the high priest could only have one wife, also stated that a man ordained to the ministry must not have more than one wife (1 Timothy 3:2) Therefore, monogamy, not polygamy, is given honourable status in God's revelation and by God's direct commandment to us. 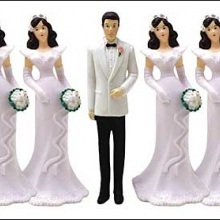 Today, in the greater majority of nations in the world, polygamy is illegal by civil law and is therefore prohibited to Christians who are commanded to be in subjection to the laws of the land (Romans 13:1-7). In cultures where polygamy is legal and still accepted, however, persons who are being baptized into the Body of Christ, the Church, and who are already legally bound to two or more wives are to continue to honour their civil law commitments. A polygamous marriage should not be contracted once a person is a member of the Church and has committed themselves to seek and live fully by the will of God.